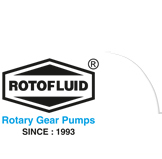 Fluid Tech Systems offer “ROTOFLUID” brand gear pump Model “FTSS” (SS Rotary Gear Pump) which is self priming, foot mounting type positive displacement rotary gear pump. Model “FTSS” having all Stainless Steel (SS-316) in three piece construction with investment cast.Due to three piece construction, it can be easily cleanable and maintainable that is why it is highly used in all kind of food industries. These pumps have SS-316 Gear and shaft that are nitrated to give long life and trouble free performance. The shaft is supported on self lubricating type Teflon coated DU Bushes and the sealing is done with Teflon based “GFO” pack sealant which gives zero leakage. The right angle mounting brackets facilitates foot mounting of the pump on base plate with Electric Motor of appropriate ratings. These pumps have sturdy design and construction for long trouble free service. 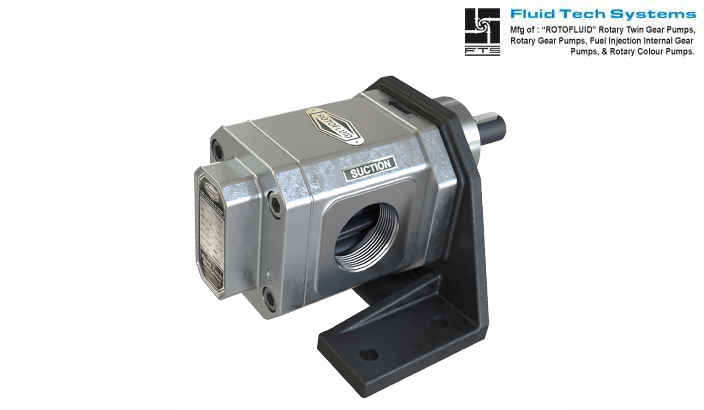 The suction and delivery connection are available in 1/4" to 2 ½" size. These pumps can be operated up to pressure of 10 kg/cm² with 8.33 LPM to 300 LPM flow capacity and has suction lift of 1m to 5m at rated speed of 1440 RPM. These pumps are designed up to maximum Viscosity to 1,00,000 SSU and maximum temperature up to 200ºc. Bush Bearings Teflon Coated "DU"
Construction is in three piece so easily cleanable and maintainable. PTFE coated DU bush for smooth running and dry bearing condition. Optionally available in double helical gear design. Food product like Ghee, Butter, Pulp, Vegetable sauce. Chemical industries for corrosive viscose chemical. Special chemical and Acid industries. Design & Developed By : Approach Media Pvt. Ltd.